Play some Dragon Ball Z: Budokai 2 on the PlayStation 2 on a whole other level with this cheat. If you're playing the original Dragon Ball Z on PS2, we have you covered there too. We also have an excellent set of cheats for Dragon Ball Z: Shin Budokai on the PSP if you're playing Dragon Ball Z on the go. If you enter the Skill Shop while holding down the L1 and L2 buttons Bulma will talk, just leave while still holding the L1 and L2 buttons down. Keep doing this and you will see the percentage of capsule continue to increase. Doing this will also unlock characters, breakthrough capsule, fusions and everything else. The following items and characters can be unlocked in Dragon Mode if you have not used the above cheat to get them already. Defeat Android 16 with Goku. Defeat Android 17 with Piccolo. Defeat Android 18 with Krillen. Defeat Android 20 with Goku. Collect all 7 Dragon Balls and wish for Babidi's Ship from Shenron. Get 100 Killi on Babidi's Spaceship. Defeat Vegeta on Namek with Kid Trunks. Defeat Ginyu on Namek with Vegeta. Get Goku and Hercule's breakthrough. Get both breakthroughs of Goku and Hercule. Defeat Majin Buu as Gt. Saiyaman Stage 6. Defeat Fat Buu with Saiyaman. Wish for it on the Dragonballs. Collect 7 dragonballs and wish for the capsule from the Dragon. On Dragon World Stage 5 defeat any Majin character to get the Capsule that allows you to get Majin Vegeta. Note: Dabura does not count. Defeat Nappa with Vegeta. Note: This can only be done when you unlock Vegeta and start Dragon mode again. Defeat Cell with Gohan adult only. Have a Budokai 1 saved on your memory card when you start a New Game. Defeat Majin Vegeta before Majin Buu kills Babidi in Stage 6. Defeat Frieza on Stage 3: Namek. Defeat Cell on stage 4 with Goku. Defeat Super Buu Gohan as Vegeto Stage 8. Defeat Majin Fat Buu on stage 6 with Goku. Let Krillen die on stage 3. Defeat Supreme Kai with Goku. Defeat Cell for the last time on Supreme Kai's planet with Adult Gohan. Defeat Cell as Gohan Stage 9. Get both breakthroughs of Tien and Yamcha. Get Tien and Yamcha's breakthroughs. Unlock 16 characters and buy it. Unlock all 29 characters and buy it. Defeat Vegeta with Goku on Namek. Get Goku to Surpreme Ki then to Vegeta Stage 8. Collect seven dragonballs and wish for the capsule from the Dragon. Defeat Super Buu (Gohan) as Hercule Stage 8. Defeat Super Buu (with Gohan absorbed) with Hercule. 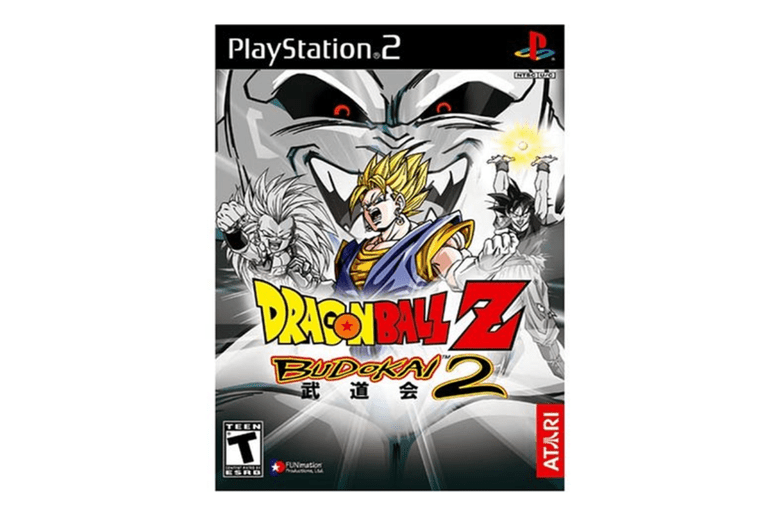 Dragon Ball Z Budokai 2 PS2 Cheats submitted by DBZ#1fanzors, PA. Looking for More Dragon Ball Z Cheats?